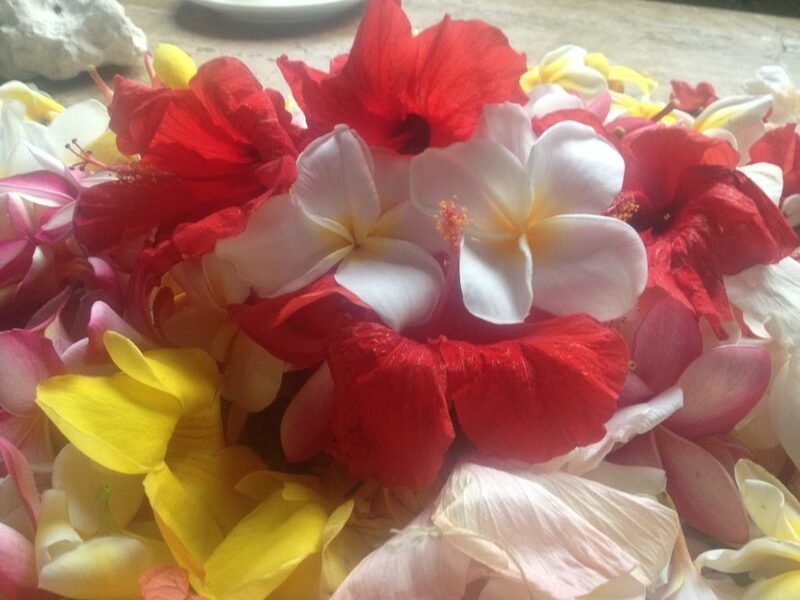 Aloha we are family owned and operated since 2006. We homestead this farm here on thes Big Island and turned a planted but unmaintained farm into a thriving, productive Certified Organic macadamia Nut and Kona Coffee farm. 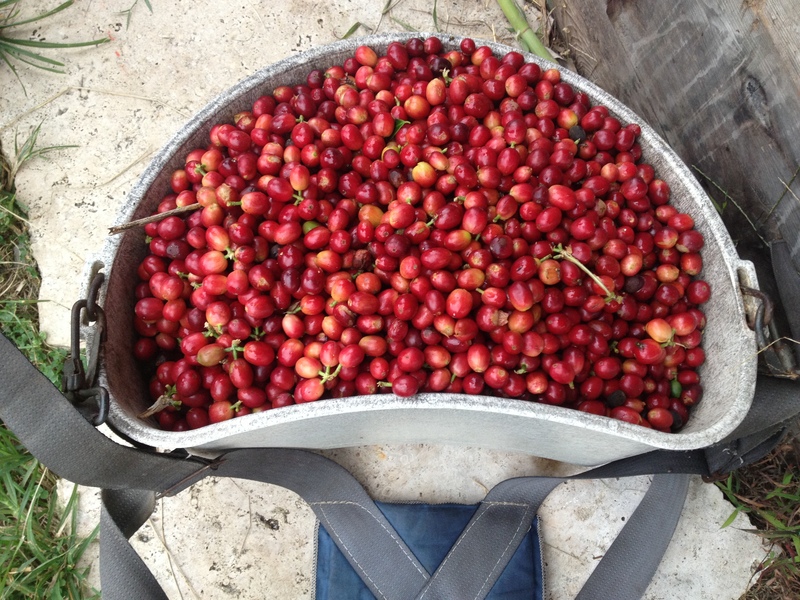 Our experience working with coffee in Peace Corps in 2000-2003 gave us the know how on coffee processing and production. We hae 3 children and love our farm filled life. Thank You for supporting us and farmers all around who are working hard to produce the best quality food available. Aloha! The only Certified Organcic Macadamia nuts in the US. 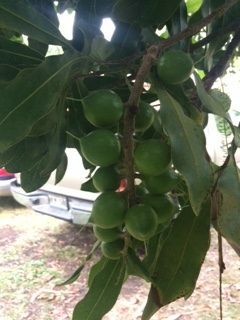 How long to grow a macadamia nut? Macadamia nuts take almost as long to grow as baby in the womb, about 8 months. From flower to nut, macadamia nuts take their time to develop their buttery, sweet, and crunchy flavor and texture. 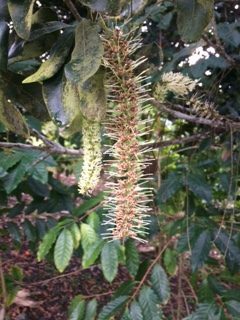 We grow our macadamia nuts Certified Organic, which means we fertilize and feed our trees only certified organic ingredients, we weed-whack instead of spraying chemicals for weed control. We believe the more nutrient rich soil the better the macadamia nuts are for your heath and better the flavor. Macadamia nuts are grown in a variety of soils and conditions but macadamia nuts love water and good aeration. Here on the Big Island of Hawaii, with its rich volcanic soils and tropical climate, does just that. The nuts are then picked off the ground by hand about every 6-8 weeks. They have a year round growing season although the quantity of nuts that fall is minimal in the summer. Now, is harvest time. Our macadamia nuts have had plenty of rainfall this past year and growing conditions have been beautiful. 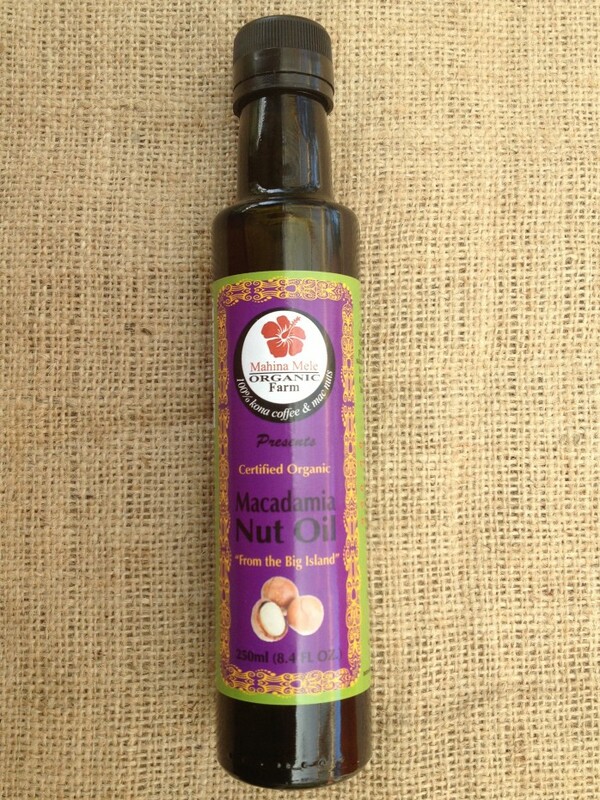 Macadamia nuts are rich in Omega 3’s and 6’s in perfect balance and considered a superfood by some. Our unique dehydrating process allows the nuts to maintain their vitality and brings out their true flavor. 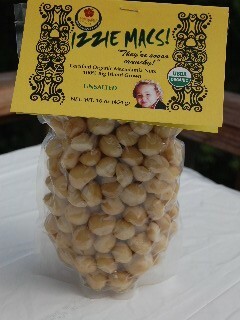 We hope you try our Certified Organic dehydrated Hawaiian Macadamia Nuts. We are the one of a kind here in the U.S. Thank you for supporting famers directly. This entry was posted in A Superfood, Farm Direct, Hawaii, Hawaiian Macadamia Nuts, mac nuts, Macadamia nut recipes, Macadamia nuts, Mountain Thunder Coffee, Organic Coffee, Raw macadamia nuts, Super Food on January 26, 2017 by Mahina Mele Farm. Let us help you with your Holiday! 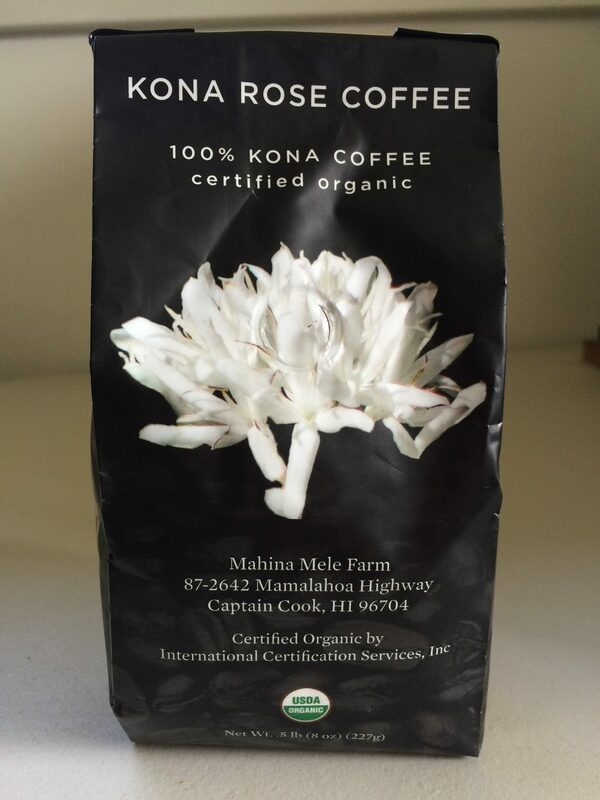 Make it edible and memorable with our Organic Kona Rose Coffee. Well make it beautiful with our gold holiday wrapping and send it for you just in time for the Holidays. Bring in the very best this year, from all of us to you, wishing you health, happiness, love, and prosperity the whole year through. This entry was posted in A Superfood, Best Coffee, Bulletproof Coffee, Expensive Coffee, Farm Direct, Gourmet Coffee, Hawaii, Home Roasting, Organic Coffee, Organic Kona Coffee and tagged 100% Kona, coffee, Hawaii, Kona Coffee on December 8, 2016 by Mahina Mele Farm. Aloha We have had a horrible incident lat night that burned down our processing building for the macadamia nuts. We are unable to take any macadamia nut orders at this time. We thank you all for all your support over the years and it has been a pleasure serving you. I don’t know what the future holds but we do still have our Organic Kona Coffee available. This entry was posted in Uncategorized on November 8, 2016 by Mahina Mele Farm. I just wanted to talk about mac nut availability in the coming weeks. We are keeping the store open so you can continue to order. Orders will be fulfilled in the order they are placed. Our next ship date is October 21. We apologize for the delay but farming is a ROLLER COASTER! After going through the scant summer months with very little to harvest, we are now coming into the full harvest season and there are lots of nuts out there! However besides mother nature to wrangle with we also have the human element as well. Our pickers work very hard, hand-picking the nuts from the ground and they, like every one else on the planet, need and deserve a break. Unfortunately they took theirs last month right when were promising nuts to our customers! This entry was posted in A Superfood, Farm Direct, Hawaiian Macadamia Nuts, mac nuts, Macadamia nuts on October 5, 2016 by Mahina Mele Farm. 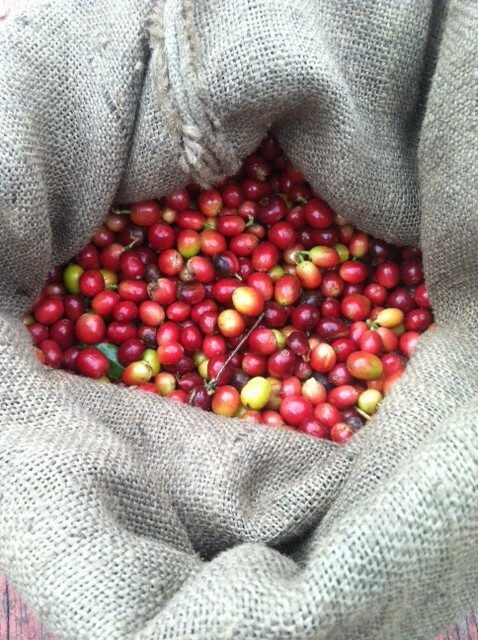 For the next 6 months Its Kona Coffee harvest time! 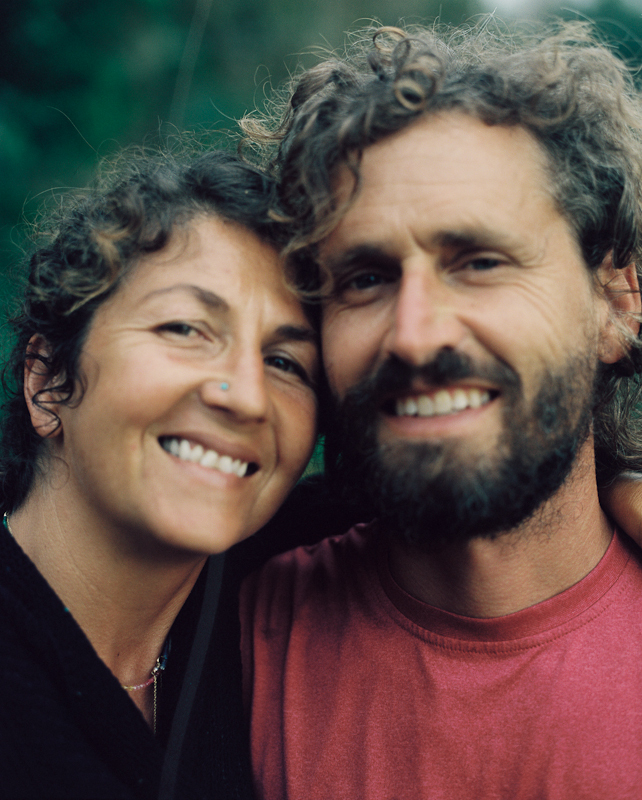 This entry was posted in A Superfood, Best Coffee, Bulletproof Coffee, Farm Direct, Gourmet Coffee, Green Kona Coffee, Home Roasting, kona coffee, Mountain Thunder Coffee, Organic Coffee, Organic Green Coffee, Organic Kona Coffee, Super Food, Uncategorized and tagged 100% Kona, Benefits, Dr. Mercosa, Farm Direct Coffee, Gourmet Coffee, Kona, Kona Coffee, Organic, organic hawaiian farm, Organic Kona Coffee, Superfood on September 14, 2016 by Mahina Mele Farm. This entry was posted in A Superfood, Best Coffee, Bulletproof Coffee, Expensive Coffee, Farm Direct, Green Coffee Oil, Green Kona Coffee, Hawaii, Home Roaster, Home Roasting, kona coffee, Organic Coffee, Organic Green Coffee, Organic Kona Coffee and tagged 100% Kona, Bulletproof coffee, coffee, Dr. Mercosa, Gourmet Coffee, Kona, Kona COfee, Kona Coffee, Mac Nut Oil, Organic Green Coffee, Superfood on July 5, 2016 by Mahina Mele Farm.